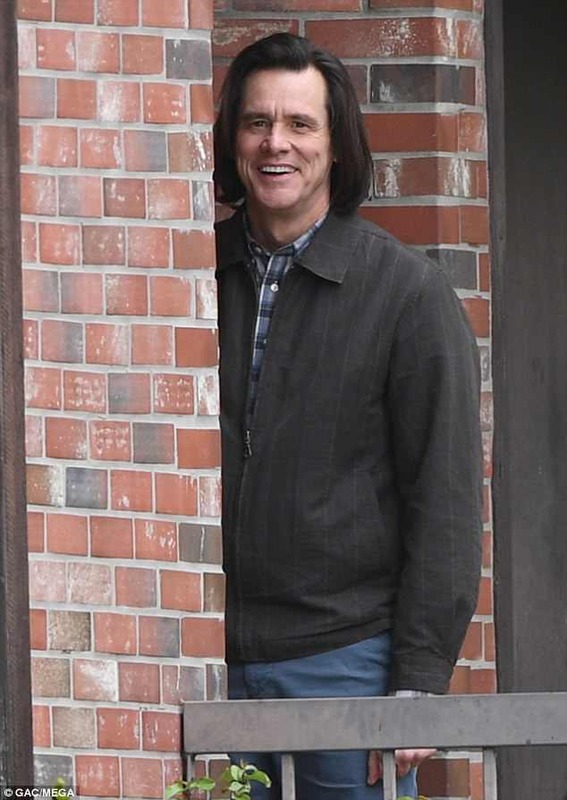 First Look: Jim Carrey in "Kidding"! 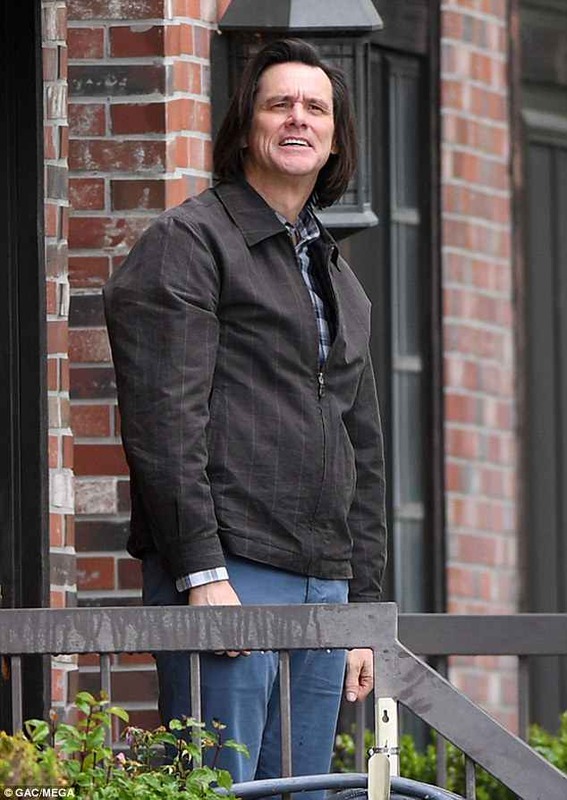 You are here: Home > Recent > News > First Look: Jim Carrey in "Kidding"! 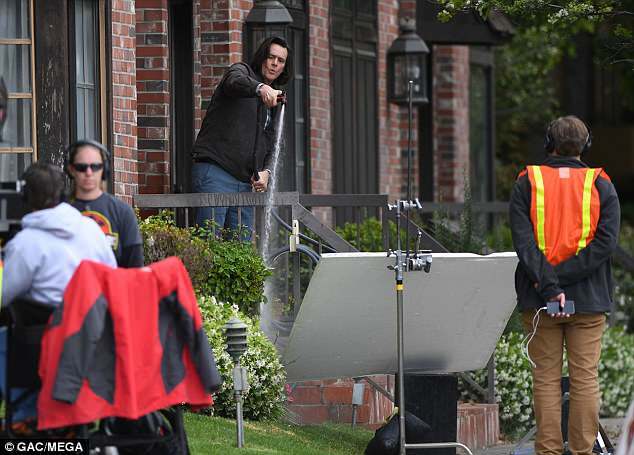 Jim Carrey's Showtime Series "Kidding" has been in production for a while and today the first pictures of Jim Carrey filming an external scene have surface. 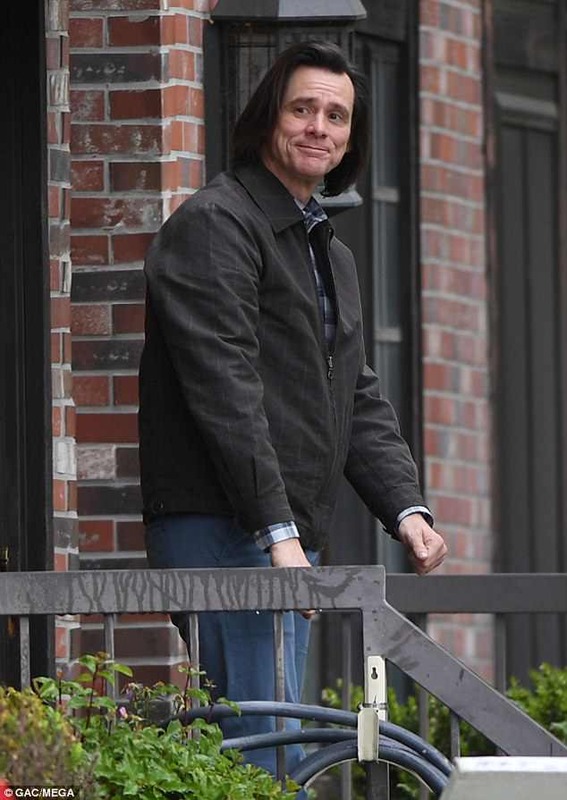 "Kidding" centers on Jeff, aka Mr. Pickles (Jim Carrey), an icon of children's television, a beacon of kindness and wisdom to America's impressionable young minds and the parents who grew up with him - who also anchors a multimillion dollar branding empire. But when this beloved personality's family - wife, two sons, sister and father - begins to implode, Jeff finds no fairy tale or fable or puppet will guide him through this crisis, which advances faster than his means to cope. The result: A kind man in a cruel world faces a slow leak of sanity as hilarious as it is heartbreaking." 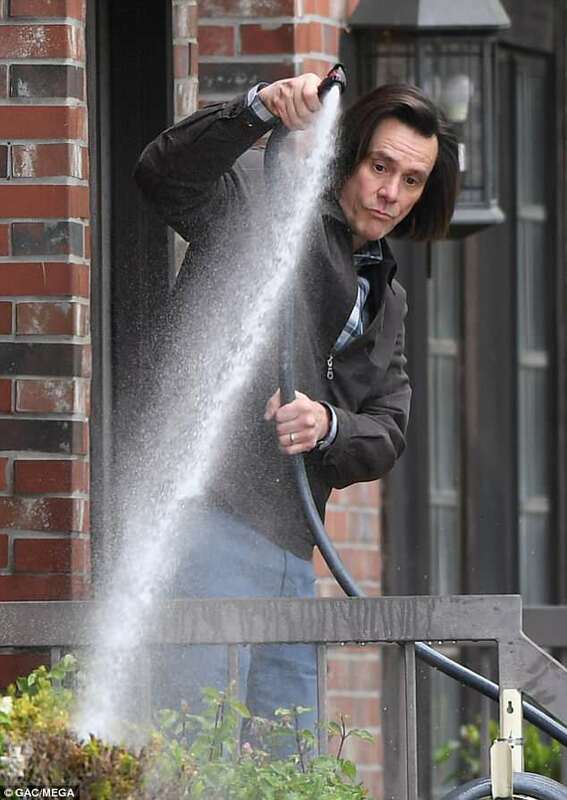 Jim Carrey was looking very good with long hair, plaid shirt, black jacket and blue pants. We can't wait to watch this series! -- With thanks to Nick. Click to comment this article.